The marketplace is the core of our operations. All our activities are funneled through here. This makes life easier for us, but also provides a lot of advantages for either customers, clients and merchants. We are doing the best to meet these criteria with our marketplace. Therefore we have our own dedicated developer team that is continuously improving it. You'll see a lot new features down the road. Since we are processing most information for Clients through our Marketplace it is easy to set them up as merchants, so they can sell their goods and services directly to our existing customer base. In addition the same factors as for the customers apply here as well. 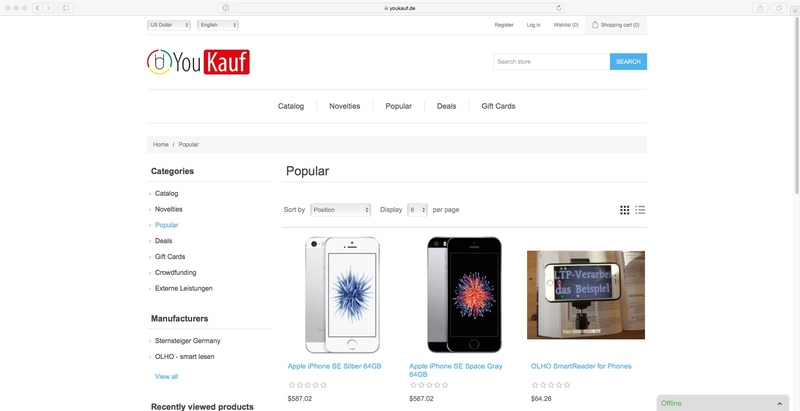 Then sign up on www.youkauf.de, afterwards you can use this link to apply for merchant access.